Matt Miller is a modern day teen in Brooklyn whose mother has passed away from cancer. Partly to start helping his father and partly to distract himself from the fact that everyone seems to pity him, Matt visits the “Cluck Bucket” to try apply for a job, when a emergency cleanup he witnesses convinces him food service is not for him. The local funeral director, Mr. Ray, who coincidentally oversaw his mother’s arrangements, offers him $30 a day to help out around the funeral home when they run into each other this fateful day at the chicken joint. The next day Matt reports after school and helps Mr. Ray set up flowers, receptions, and handle basic arrangements. As Matt’s father descends into drink, Matt becomes both more independent and connected to more people in his community through his work at the home. The novel chronicles Matt’s coming of age through his work, mentoring by Mr. Ray, and a new friend. This is also a satisfying story about how a young man grows up as a part of his community by opening himself up to new experiences and responsibilities, strengthening himself and, in small ways, his community. In this book we see not only the Brooklyn that challenges, but also the Brooklyn that supports–a refreshing change from the often one-sided negative portrayals in urban fiction of city neighborhoods. The Boy in the Black Suit moves along at a leisurely pace, and is written with some great descriptions and unique turns of phrase (were I not listening to the audiobook in my car, I’d have written them down). Without dragging, Reynolds lovingly details his characters and the neighborhood, making them real. An added layer of authenticity comes from the very natural narration by Corey Allen on audio. Some of the coincidences and the neatly-tied ending were the only pieces of the story that did not feel realistic, but these are small criticisms in comparison to the quality of the work overall. This is a novel version of the male coming-of-age story that had me caring about the characters and invested in the story. I recommend The Boy in the Black Suit to fans of Chris Crutcher’s Whale Talk, and Walter Dean Myers’ young adult fiction. This book will be enjoyed by the more thoughtful young adult reader of realistic fiction, and by all ages of readers who enjoy character-driven stories with a strong sense of place. I don’t know anyone who doesn’t long for the rock ‘n’ roll lifestyle: record company execs throwing cash at you, the weeks on the road, the camaraderie formed under the pressure of creativity, the worshipful fans throwing onesies onto the stage. Wait a minute—onesies? Yep. And that’s what the Wonderkids face on their climb to the top of the charts. Fronted by Blake Lear (his stage name), Wonderkids ride his mix of poppy music and bizarre lyrics to million-selling albums, memorabilia, and fans, fans, fans. Billed as “your kid’s first rock band,” the music appeals to—or at least doesn’t drive mad—the parents, and the lyrics, which are based on Lewis Carroll’s imagery, William Blake’s innocence, and Edward Lear’s whimsy, grab childrens’ attention. Raffi’s sincere goody-two-shoeism is not yet on the scene and parents are tired of “Octopus’s Garden” and “Yellow Submarine,” so when a record company executive’s 5-year-old son picks a demo at random and listens to it over and over again on a long drive, Dad knows he’s on to something. From a basement practice band and menial jobs, the newly-minted Wonderkids is on the road in England and soon to the United States. Wonderkids’ real appeal is the live show, especially since Blake is happy to sit with every kid for pictures, tell jokes, talk with parents and give each person a real personal experience. It also sells tons of t-shirts and other memorabilia, which is where the Wonderkid of the title comes in. Sweet is a young teen in a foster home when he and Blake meet. Before long, he becomes the guy who takes money for the swag and keeps an eye on the promoter. Tour life is his chance to make the transition from childhood to adulthood, which he does under the tutelage of a bizarre mix of characters. When the band heads for the U.S., Sweet becomes our eyewitness to Wonderkids’ spectacular rise and the excesses it leads to. Any band aimed at the children’s audience had better be squeaky clean. When those excesses (some of which aren’t even excessive) start to catch up to them, things go sour. In true rock ‘n’ roll fashion, the band splits, but its life doesn’t end. Which makes the last portion of the story both poignant and whimsical as anything Blake Lear ever wrote. Check the WRL catalog for Wonderkid. Stewart O’Nan is quite simply one of the best authors writing today. His quiet prose captures ordinary feelings and lifts them up in a light that shows them to be both specific to his characters and universal to the reader. West of Sunset could be a departure for him; it’s an exploration of the final years of F. Scott Fitzgerald’s life at a time when this icon of American literature had not yet attained the immortality that came with his creation of Jay Gatsby. (In fact, he was better known for Tender is the Night–and for his outsized lifestyle–than the work most people remember him by.) Brought down by his drinking and reputation he has fallen so far that he is relying on the charitable intervention of Hollywood friends to earn a living. At the same time, his wife Zelda is institutionalized in a North Carolina sanitarium, where her youthful free spirit has metastasized into destructive mental illness. Between the cost of her treatment, their daughter Scottie’s high class Eastern education, and his own profligate ways, Fitzgerald is consumed by worries about money. There are bright spots in his life: his friendship with Humphrey Bogart (based on a mutual love of drinking and literature–surprise! ), his friends Dorothy Parker and Robert Benchley, and a love affair with gossip columnist Sheilah Graham. But his working life, although it paid more than he was ever to earn from his books, was less rewarding. O’Nan takes this period and delves into the frustration and pain of a man faced with more troubles than he can surmount. Far from being sheltered by his status (and by an income that exceeded that of nearly all Americans at the time), he knows he is as close to ruin as any Depression-era assembly-line working stiff. But he also finds respite in his own work, and in his desire to be the man Sheilah wants him to be. 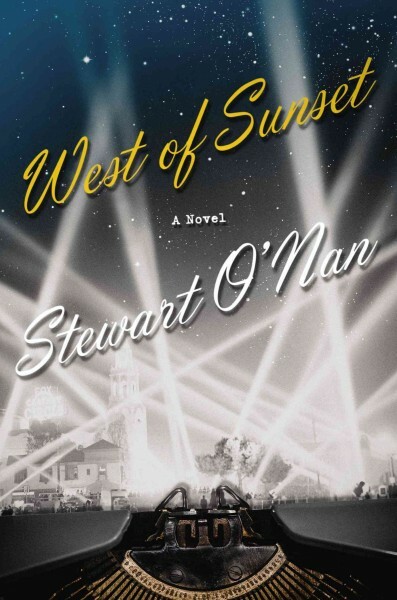 In essence, O’Nan is still attracted to those ordinary feelings, and with West of Sunset he once again lifts them up to us through the life of a very public man. Ah, jeez – as with so much else we know, it ain’t so. If Horace Greeley ever said, “Go West, young man,” it was in the context of quoting someone else who said, “Go West, young man,” and that may even have been an attempt to create a Greeley-sounding quote. Whatever the case, for some it was advice many young men had already taken on their own. Among them were the trappers and traders who pushed into the Rocky Mountains to forge relationships or fight with the Native Americans over the lucrative fur business. In 1820, William Wyeth is determined that he is going to make his fortune in the West and prove to his father that he is a man of worth. He signs on with a trapping company in the frontier town of Saint Louis and heads out under the guidance of an experienced captain. Thus begins his adventure, and it is a wild one. Wyeth is also coming up against the consequences of the fur trade. The companies he works for are pushing the boundaries of American influence against the settled Spanish and the British and French trappers who have long considered the West theirs for exploitation. With each tense encounter, the possible causes of war increase, and some of Wyeth’s companions would not necessarily mind the consequences. And the success of the trade means that more trappers and traders want to get in on it, so resources are disappearing even as conflicts are building. 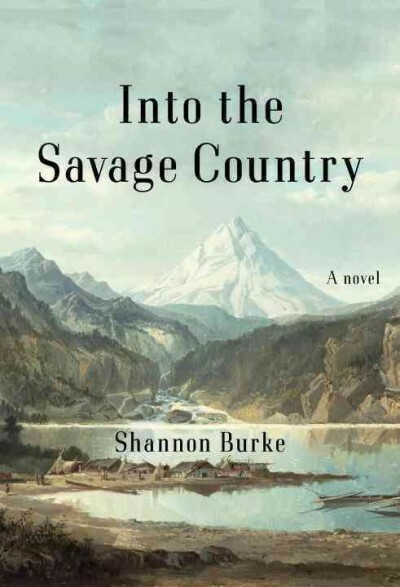 Burke takes the tropes of the American Western and turns them into a literary jewel. His beautiful depictions of the landscape, exciting details of hunting, trapping, racing, and close observations of both the white men and the natives he encounters become opportunities for Wyeth’s self-examination on the meaning of manhood. There’s also a satisfying love story, a complex antagonist who helps Wyeth determine his own course, and men who open Wyeth’s eyes to the complexity of the native cultures. Into the Savage Country offers an old-fashioned Western feel and a wonderful coming of age story. The assassination of the Romanovs is re-worked into an exciting period thriller in this series opener by Sam Eastland. 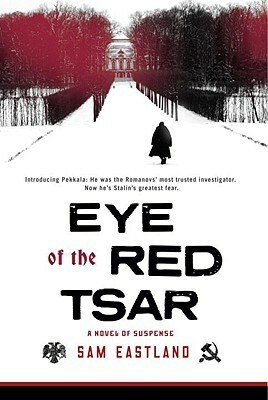 The Eye of the Red Tsar is both the title of the book and the nickname for the lead character, a Finn named Pekkala. The novel opens in 1929, eleven years after the death of the Tsar. Pekkala, once Nicholas II’s right-hand man in matters of secrecy and security, has been held in a work camp, kept available to Stalin should the right opportunity present itself. As the book opens, it has: New evidence about that night has come up, and only Pekkala has the inside information to confirm or deny it. To complicate matters, the man sent to fetch Pekkala from imprisonment is his own estranged brother, a ne’er-do-well now risen in the Soviet bureaucracy. With great reluctance Pekkala is lured to the case, partly by curiosity, partly through the possibility that one of the Romanovs may have survived. But is he just being used to lead Stalin to the Tsar’s never recovered treasure? It’s a fascinating premise, and Eastland re-creates the atmosphere of the early Stalinist period believably. He alternates between a journey across a strange Russian landscape (one of my favorite bits involved a show town, built to show off the successes of socialism to visitors) and flashbacks to the story of how Pekkala fell out with his brother, came to Tsar Nicholas II’s attention, and then followed him until the fateful night. Eastland has continued his series through five books to date, following Pekkala’s charmed but difficult life up to WWII times so far. It’s a consistently enjoyable exploration of a time and place in history where one didn’t have to look far for suspenseful twists of fate. Some volcanoes are world famous; everyone has heard of Mount Vesuvius, which destroyed Pompeii in the time of Pliny. Iceland’s volcanoes are less known, although they were in the news a few years ago when unpronounceable Eyjafjallajokull spewed out enough ash to disrupt European air travel for weeks. Eyjafjallajokull may be more present in modern consciousness but it isn’t the only, the largest, or even the most dangerous of Iceland’s many volcanoes. Recently, scientists and historians have been focusing their attention on Iceland’s fissure volcano Laki, which evidence suggests may have disrupted world climate for years after it started erupting in 1783. 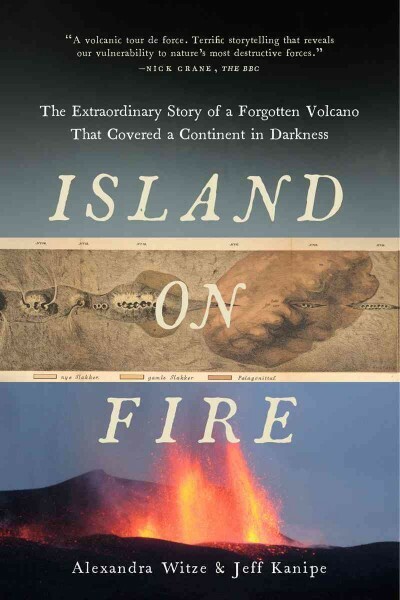 Island on Fire’s long subtitle, “The Extraordinary Story of a Forgotten Volcano the Changed the World” sums up the problem with its history: this eruption occurred in a sparsely populated part of the world before the advent of easy international travel or communication. Nonetheless new research using techniques such as ancient ice cores suggests Laki’s eruption affected the climate all over the world. This lead to crop failures and famine and, depending on how you calculate it, may have killed millions of people. In a long eruption that continued over months Laki spewed out enough toxic gases to poison the entire lower atmosphere, especially over Europe. From all over Europe numerous newspaper accounts from the summer of 1783 report a “dry fog” that made it difficult for people to breathe. Much of the surviving eyewitness account from Iceland comes from Jón Steingrímsson the ‘fire priest’ who famously gave a sermon while lava was bearing down on his village church. His journal reports unbelievable devastation and destruction, including the horrific symptoms in people and livestock from months of exposure to fluorine gas. A compelling, if sometimes disturbing read, Island on Fire includes plenty of maps and black and white photos. The interested reader can also find color visuals of Iceland’s wonderful landscape, and the story of Laki’s eruption in the documentary Doomsday Volcanoes. For those interested in volcanoes in general try the documentary series Mega Disasters. For another fascinating book about the historic effects of a major volcanic eruption try Tambora, by Gillen D’Arcy Wood. And for a gripping teen trilogy about the worldwide effects of an apocalyptic eruption of the Yellowstone supervolcano I heartily recommend Ashfall by Mike Mullin. Check the WRL catalog for Island on Fire. The O’Briens are an ordinary Boston family. Catholics of Irish descent, they have Sunday supper together every week, and the four early-twenties children still live in their parents’ house. The father, Joe, is a life-long, dedicated Boston cop while mother Rosie raised the children and now works part-time. Into this steady but satisfying existence is thrown deadly, hereditary, debilitating, degenerative Huntington’s Disease. Lisa Genova’s many fans will be thrilled to learn that she is back with another dramatic and wrenching tale of a family battling a disease. Like Genova’s first book, Still Alice, with its portrait of early onset Alzheimer’s Disease, the disease portrayed here is entirely inherited. Children have a fifty percent chance of inheriting the genes from a gene-positive parent, but gene-positive people will always develop the disease. It is a cruel disease that some people don’t know they have until they get symptoms in their forties. Huntington’s Disease drives the plot of Inside the O’Briens, but the deeper story is the love, strength and resilience of the O’Brien family. Keep the tissues handy for scenes when Joe is painfully aware of his own disintegration, such as when he stops being able to hug his wife because his chorea (involuntary movements) mean that he might hurt her. Inside the O’Briens is a must-read for fans of Lisa Genova’s earlier books such as Left Neglected, as well as other compelling, but wrenching, family stories such as The Light Between Oceans. Check the WRL catalog for Inside the O’Briens.